Added on 10 January 2019 . By Georgia Evans. A mock-up of the planned leisure village. 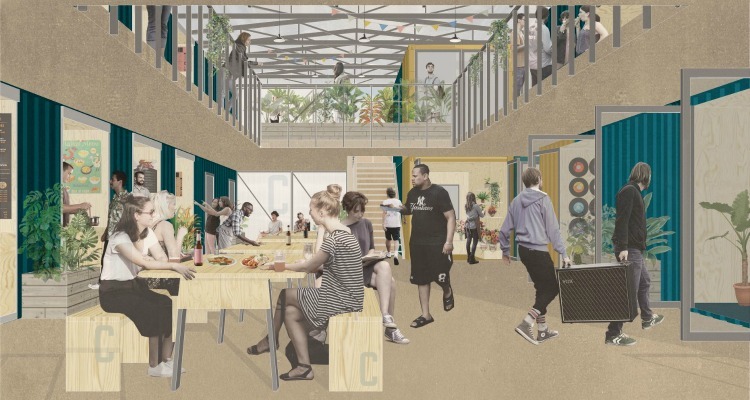 Liverpool could be getting its own shipping container leisure village thanks to Bongo's Bingo founder Joshua Burke. It has been revealed that plans for the complex, named Content, will be located on Stanhope Street of The Baltic Triangle. The planned project will be made of 15 containers, all brought together to create a multi-purpose space for music, arts, drinking and eating. Creators have expressed a focus on being environmentally-friendly, with less emphasis on the exterior, and more on quality and value for money. Each container will celebrate its individual history, with nowhere more fitting than the port of Liverpool as its home and local businesses occupying its space. Content is planned to open on the corner of Stanhope Street, L8 5XJ in 2019.